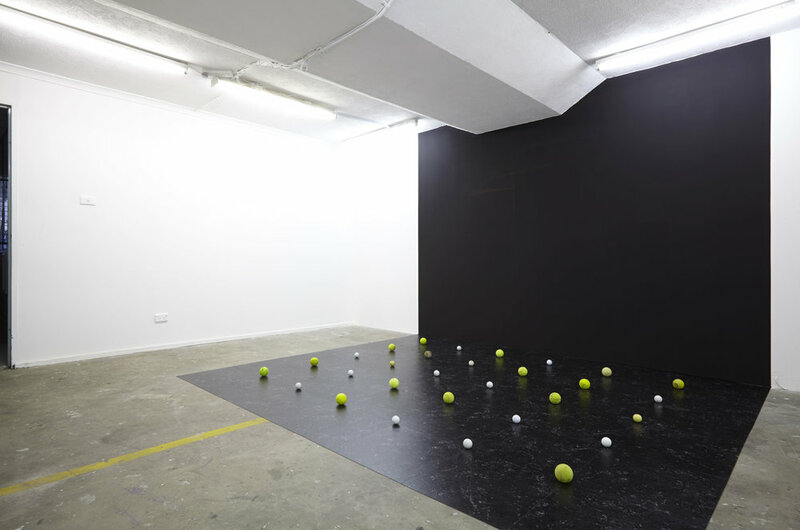 Orbit is a mixed media installation consisting of found golf and tennis balls arranged in a formal grid upon the floor. 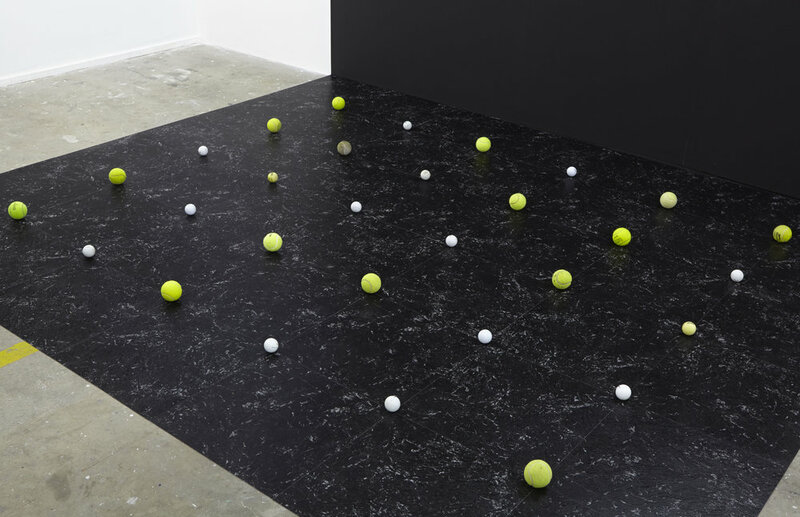 The balls here are those that have strayed off-course, collected either from the artist's path or the garden of his former home within a gated community in Sydney's southwestern suburbs. Gradually collected over 12 years, the elements of time and chance simultaneously define and constrain the cumulative gesture. As well as their sociocultural association with leisure and wealth, tennis and golf also entail specific manipulations of nature — they supplant wilderness with manufactured landscapes; instinct with codified athletic performance. 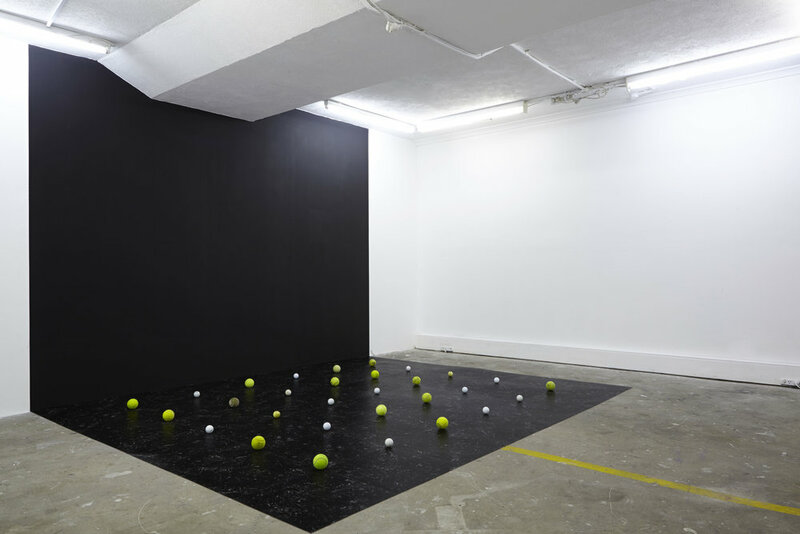 Orbit is an attempt to conflate the domestic with the cosmic: the agency of the artist's archive, against the recreational trajectories and colonising tendencies of the emerging upper middle-class of Sydney's outer-rim.